Experiential marketing is one of the most powerful ways to create customer loyalty and advocacy. It can also be one of the most exciting. Real Business explores what experiential marketing means, why it’s important, and looks at some helpful examples and agencies. Here’s everything you need to know about experiential marketing. Experiential marketing, or engagement marketing, is a technique that seeks to help brands interact directly with a target audience and create a powerful customer-to-brand experience. It’s a simple aim, but there are many ways to achieve it – making experiential marketing a broad church. As such, experiential campaigns involve all manner of brand activations. These range from stunts and product sampling through to immersive experiences, events and much more. Where does experiential marketing come from? Miller Beer was one of the first companies to use experiential marketing as we know it today. Miller used 1970s programme MGD Blind Date, concert promotions and the Miller Lite Taste Challenge to bring the brand to life for different demographics. While important ideas around experience emerged during the 1970s, a more coherent understanding of experiential marketing came in the 1999 book The Experience Economy. The authors suggested that consumers would be willing to pay for a new type of product: an experience. What’s more, they foresaw companies forming to create events based on specific experiences – because the individual’s experience would be the deliverable. After the solid underpinning provided in The Experience Economy, ideas and applications of experiential marketing grew significantly. However, experiential marketing has become particularly important with the advent of social media, which has helped marketers to amplify its effect. Why is experiential marketing important? Research has found that our sensory experience of our interactions with brands not only influences what we buy, but how frequently we buy and how we consume our purchases. Each of our five senses helps us differentiate one brand from another – and each sense can affect the others. Experiential marketing is important because touch, taste, smell, sight and sound will activate the emotions that make us desire certain products. Marketers and other decision makers clearly see the value in experiential marketing. In IPA’s Bellwether report for Q4 2018, almost every marketing category experienced a drop in investment – with two exceptions. Event and experiential marketing spend actually saw a rise of 2.6%, with sales promotion spending up 3.8%. Experiential marketing can create lasting impressions on customers and, even better, convert them into brand advocates. The immediacy and intimacy of experiential events help brands become useful, relevant and exciting. But the benefits of experiential marketing extend much further than the immediate experience of an event. Social media helps an experiential event reach beyond its physical boundaries, creating live virtual experiences for those further afield. And, crucially, it is effective. An impressive 72% of consumers say that friends’ posts about branded experiences make them more likely to buy from that brand. A quick glance at an experiential marketing agency’s clients may leave you feeling that experiential is the reserve of multinationals. Understandably, agencies want to shout about their big wins. But experiential marketing is also a viable option for SMEs. Hidden among the conglomerates are some examples of smaller businesses using experiential marketing to great effect. Founder Pippa Murray started making her own nut butters as a tasty, nutritious running snack – so the story goes. Before long, her early production processes couldn’t satisfy demand. By 2015, Selfridges shelves stocked Pip & Nut products and you can now find them in over 5,000 stores across the UK and Europe. 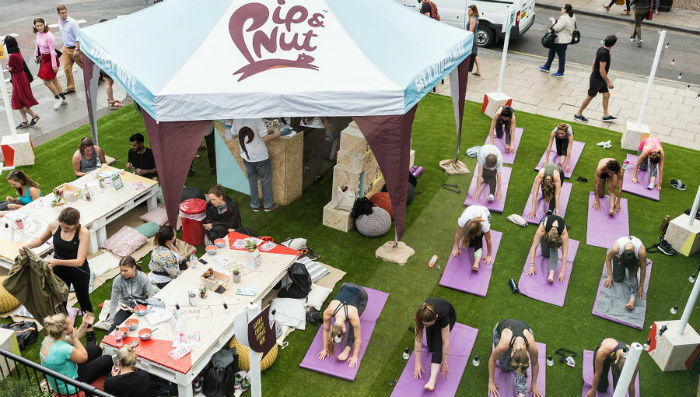 In a drive to become the UK’s favourite health food brand, Pip & Nut wanted to get people sampling its products. But the small company wanted to do so in a way that gave consumers a chance to experience the simple pleasures of life. Together with Sense London, it created pop-up ‘Pipnics’ across central London. Teams offered yoga, mindfulness colouring and nut butter and milk samples. The aim was to help people enjoy a moment of peace in a busy day, while sampling tasty food. The teams distributed over 44,000 samples and delivered 12,000 immersive ‘Pipnic’ experiences. Born in 2010, language-learning company Memrise relies on its users contributing language content to run its platform. In 2016, Memrise used Kickstarter to get an ambitious experiential marketing plan on the road. Members of the team travelled to nine European countries in a double-decker bus – the Membus – to film more than 20,000 locals speaking their own languages. The Membus tour created unique user-generated content and experiences and generated huge awareness of the Memrise platform itself. This ensured its user base grew organically by word of mouth, in turn providing a continual supply of user-generated content. 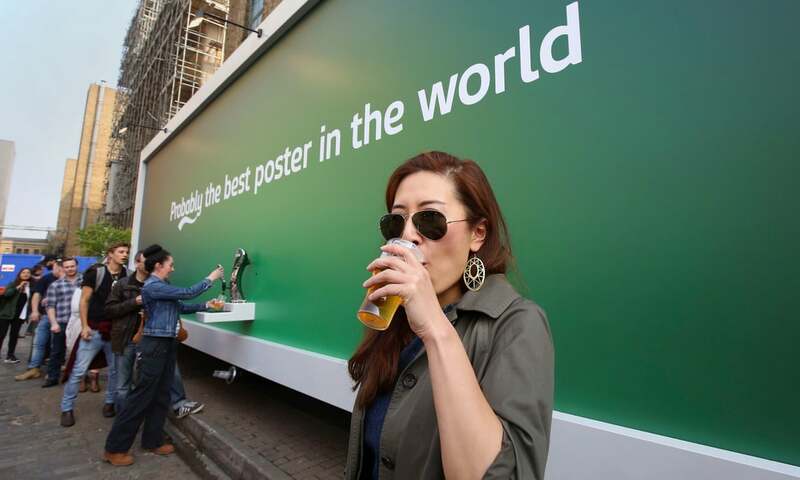 Experiential marketing campaigns often seek to elicit a particular emotion. However, Battersea Dogs and Cats Home created an experiential campaign that not only tugged at heartstrings, but followed consumers around. Dog lovers at a Westfield mall took brochures containing dog-adoption information and, unbeknownst to them, a radio frequency identification tag. When they passed hidden sensors around the mall, the tag triggered a video on each billboard they walked past. The video showed a former stray at Battersea Dogs and Cats Home, named Barely, following them through the mall. As a result, the charity enjoyed 79% new click-throughs to its microsite and ten times more leads than the number of dogs in its care. Many businesses now recognise the importance of sharing experiential moments. Village Marketing, the company behind Village Studio, is no exception. 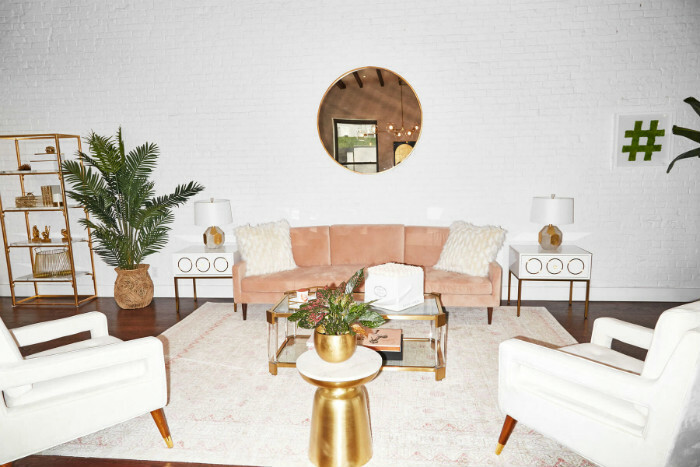 Village Studio is an Instagram-ready apartment in Manhattan, also known as a lifestyle content studio. It’s a space for brand experiences and lifestyle shoots designed to create an impact on social media. Space for a brand experience at Village Studio. Free to use for influencers, larger brands such as Unilever and L’Oréal also use the space to launch new products, host small media and influencer events, and generate social media content. Some brands even pay up to $12,000 a day to host an event. Experiential marketing taps into our senses to trigger a desired reaction. When it works well it creates not only customer loyalty but customer advocacy. But experiential marketing is more than effective. It is exciting because it is constantly developing. From guerilla stunts, product sampling, roadshows and festivals through to PR drivers, live events and trade shows, experiential marketing has much more to offer. Watch this space.